You’ll need about 1 lb of mussels per person. Rinse them off and remove any beards. In a large pot, heat your oil or butter, then add your aromatic ingredients and saute until beginning to brown. Add your mussels and steaming liquids, toss everything and cover the pot. As the liquid comes to a boil, turn the heat down to a simmer. Toss the mussels occasionally to make sure everything is cooking evenly. 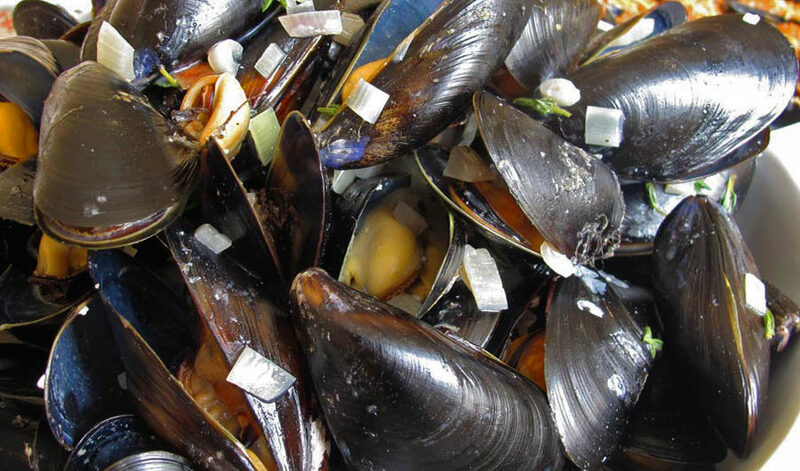 When most of the mussels are cooked (open), remove the pot from heat and mix in your topping ingredients. Serve with bread or pasta. Steaming liquids: Choose one or more of the following, you need about 1 cup of liquid.